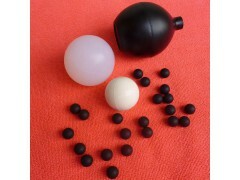 Rubber balls are a made of rubber, have bouncy balls, high quality non-toxic natural rubber balls. Rubber balls, silicone balls meet the highest quality standards of the bearing, valve, pump, and medical industries, Different pressure requirement are available. Rubber balls main types: Small Rubber Balls, Solid Rubber Balls, Silicone Balls, Hard Rubber Balls, Large Rubber Balls, NBR/Nitrile Rubber Balls, Silicone Rubber Balls, Tiny Silicone Balls, They are mainly uses in astronautics, the automobile, the medical service, the medicines manufacture, the satellite, the valve, pump, the bathroom, the electron, the electric appliance, and other industries. Rubber Balls size: 2.38mm, 2.5mm, 3mm, 3.175mm, 3.97mm, 4mm, 4.763 mm, 5 mm, 5.5 mm, 5.56 mm, 6 mm, 6.35 mm, 6.5 mm, 7.144 mm, 7.938 mm, 8 mm, 8.731 mm, 9.525 mm,10 mm, 11.113 mm, 12.7 mm, 15.87 mm, 19.05 mm, 25.4 mm,30mm,35mm,40mm,45mm, 50mm, 55mm, 60mm, 65mm, 70mm, 75mm, 80mm, 85mm, 90mm, 95mm,100mm. Rubber Balls material: SILICONE, NR, NBR, EPDM, VITON, CR, ACM, SBR, BR, NR, PU. China Lucky thanks you for visiting our website and looks forward to serving you.